Camellias are dense shrubs with brilliant foliage. They offer bright, long-blooming flowers, and serve as popular foundation and specimen plants. The trick to growing a camellia plant without too much effort is to plant it correctly. 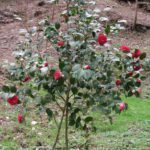 Read on for more information on camellia planting and care. Camellias have a reputation as being demanding and picky plants, but much depends on how they are planted. 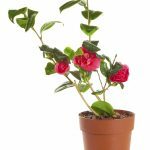 If you take the time to plant this shrub appropriately, your camellia plant maintenance will be significantly reduced. Camellias require acidic soil that drains well. Test the soil first to be sure the pH is between 6 and 6.5 before you begin installing the plant. While you are digging, work in several inches of organic material to ensure nutrients and adequate drainage. Plant your shrub in a shady area with dappled sunshine, not in direct sun. These preliminary steps make caring for camellias easier. When you are planting your camellia, install it slightly higher than the surrounding soil. This allows excess water to drain away from the center of the plant. Don’t plant this shrub where it will have competition for nutrients. For example, don’t plant it beneath a tree with shallow roots, like a birch. Caring for camellias will include water and fertilizer. Nobody could call young camellias drought-resistant. When you are first growing a camellia plant, it will require regular and generous irrigation until the root system is established. Water young shrubs deeply to encourage the root system to spread downward. Once the tree is mature, it needs less water. In time, you may not have to irrigate at all. Camellias do not do well with a lot of fertilizer, so don’t overuse it. Once the shrub has finished blooming, broadcast a balanced fertilizer for acid-loving plants around the plant’s drip line. Irrigate well. You’ll find two primary species of camellias in American gardens: japonica and sasanqua camellias. The latter are hardier and tougher than the japonicas, tolerating drought and resisting disease better. Both require a little pruning, however, to maintain their beauty. These species should be pruned at different times. Since japonicas bloom in early spring, they should be pruned immediately after the flowers fade. Sasanquas flower in autumn, forming flower buds in spring. 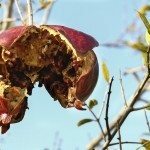 Prune them in early spring to avoid snipping off flowers. A light shaping is all you need, snipping off branch tips to encourage fullness.